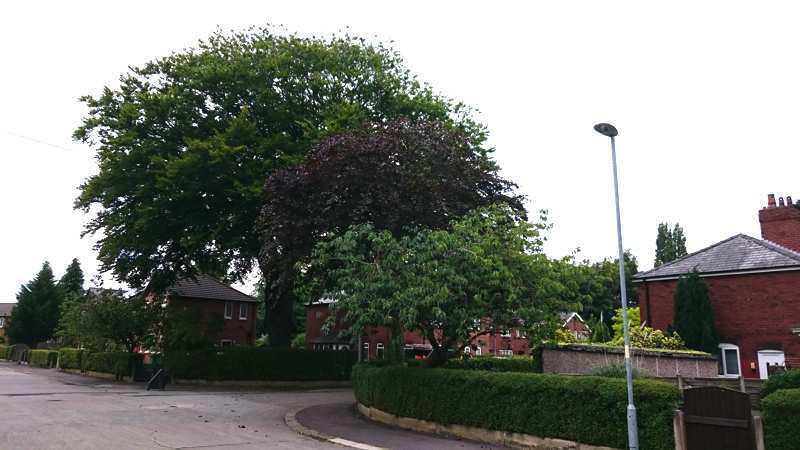 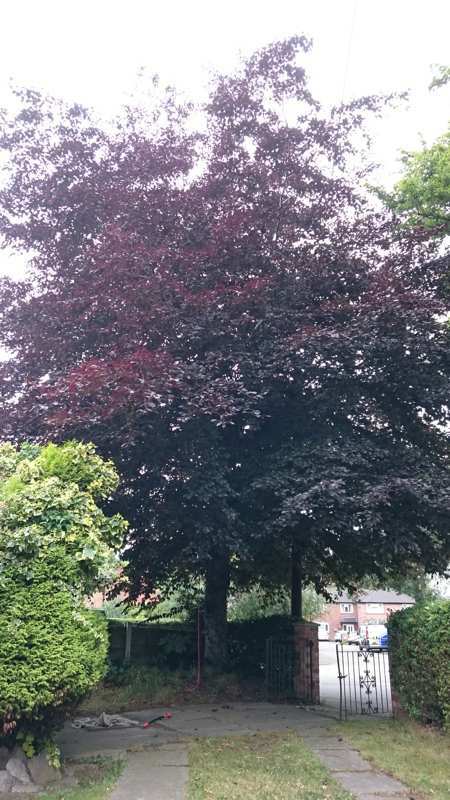 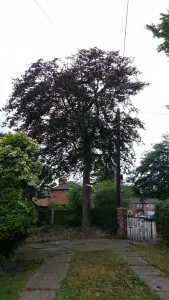 The customer here was concerned that this copper beech was becoming two large for it’s surroundings and beginning to blot out any natural light getting to the front garden and house. 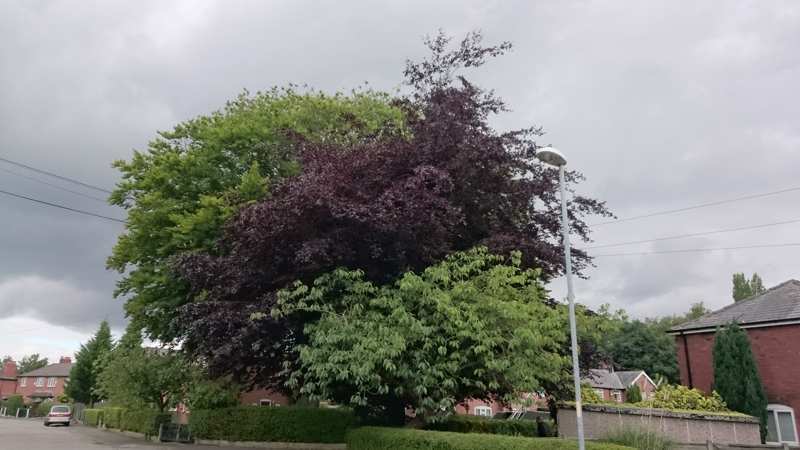 It’s lower branches had begun to droop towards the pavement and road becoming hazardous for pedestrians and taller vehicles. He was in two minds as to taking it down or reducing its crown. We convinced him that we could maintain an attractive shape to the tree whilst significantly reducing the crown therefore preserving the tree for many years to come. The copper beech sits between a small cherry and an enormous beech giving a tiered effect when walking down the street. 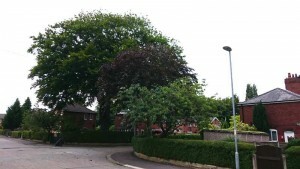 We were keen to maintain this view as it gave character to the street.